I was at work deskwarming when Justin messaged me on Facebook asking if SCC released a new set. I wasn't sure so I looked on Gmarket and there it was. 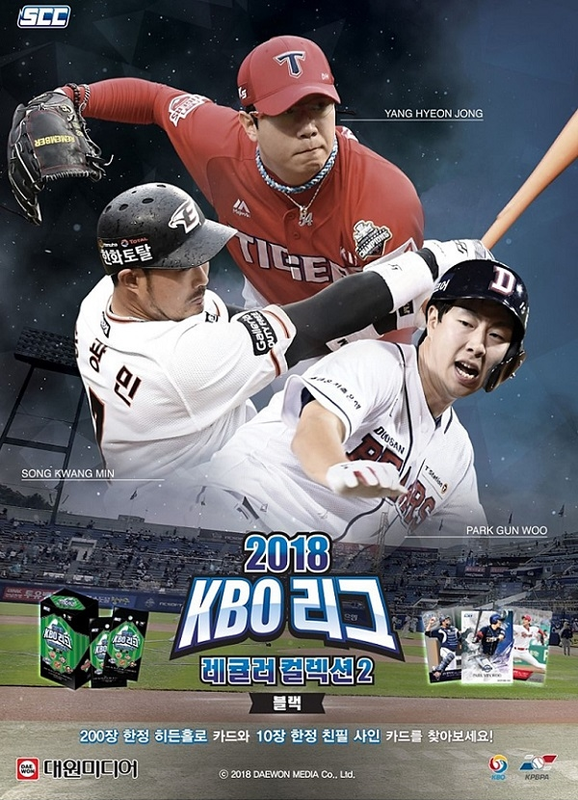 A $13 box of 20 packs (5 per pack) for the 2018 SCC KBO Collection 2 set of 115 cards (but 10 are "Hidden Hologram" inserts numbered to /200). 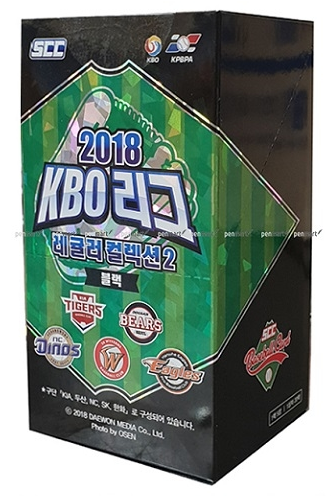 Looking at the box it appears only five teams are in this set: Doosan, Kia, Hanwha, NC and SK. I don't know why these five were chosen. I would assume there may be a Collection 3 with the other 5 teams being released later. Korean Cardboard 2016-2017. Simple theme. Powered by Blogger.